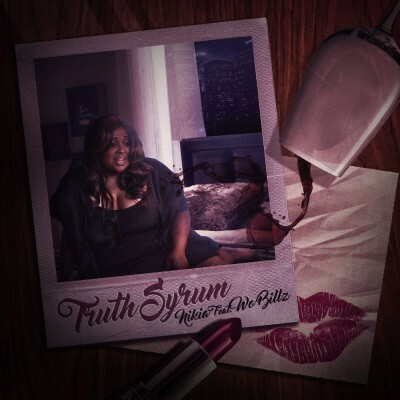 Truth Syrum is a new single from RnB pop singer, Nikia. Born in NY and raised in California, she has a substantial musical background and got her first record deal at age 15. As is hinted by the title, Truth Syrum is a song about honesty and potential reconciliation. Being truthful about your feelings and not trying to hide your pain can become an antidote to your relationship problems, regardless of whether the relationship is ultimately saved or not. Nikia’s vocals and earnest lyrics lend an authentic quality to the song. She’s clearly a professional singer, so she’s able to handle the high level of difficulty this music presents. The musical backing is pretty straightforward RnN, mellow and smooth but still poppin’ enough to get down to. The video for this jam also does a decent job of adding realism and allows the listener to visualize the narrative Niki’s trying to get across. We see the dynamics of the relationship and are able to connect it with the lyrics. The video even ends with an intriguing “to be continued” cliffhanger, indicating that there may be a few more chapters to this story.